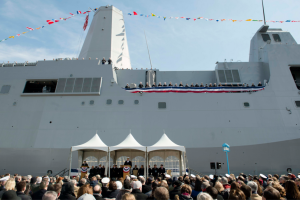 The Navy’s latest amphibious transport dock, which will be homeported in San Diego, was commissioned Saturday in a ceremony in Philadelphia. The amphibious transport dock USS Somerset is commissioned in Philadelphia. Navy photo by Peter D. Lawlor. USS Somerset was named in honor of the 40 crew members and passengers on United Flight 93, who attempted to regain control of the plane after it was hijacked on 9/11. The plane crashed into a field near Shanksville in Somerset County, Pa., killing the 33 passengers, seven crew members and the four hijackers. 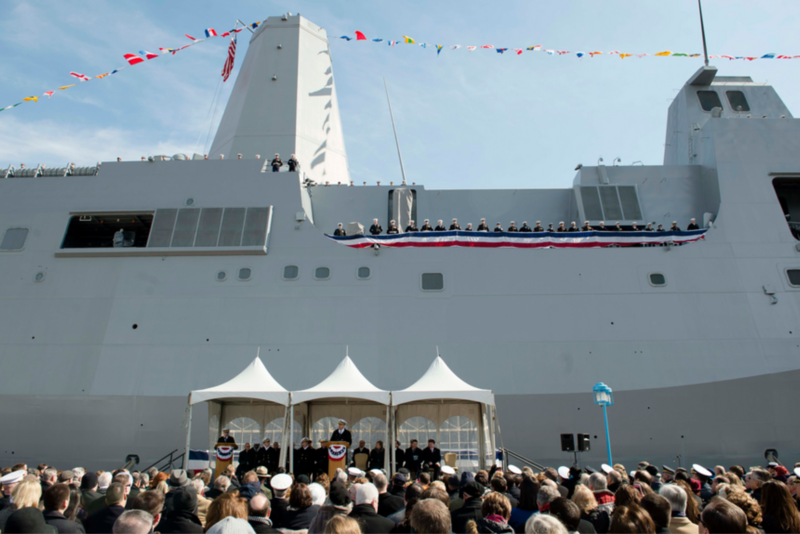 The commissioning capped off a week-long celebration honoring the ship, its crew and the legacy of Flight 93’s passengers and crew, Navy officials said. Gen. James F. Amos, commandant of the Marine Corps, gave the principal address, officials said. “When this ship sails the world’s oceans, she will carry the spirit and determination and the fighting spirit that has always defined America,” Amos said.